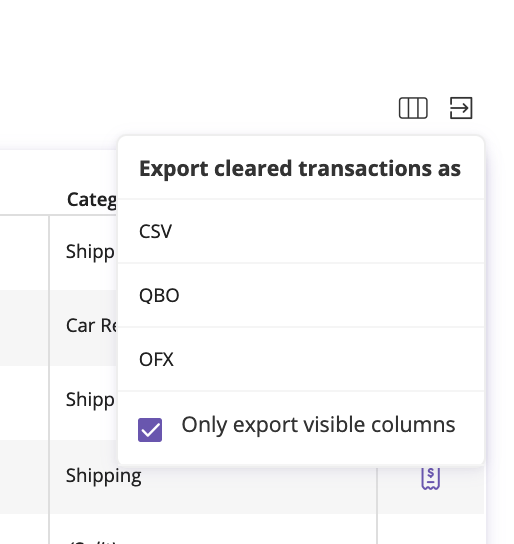 In this article we will cover how to export transactions including how to customize your transaction export to fit your company's needs. Understanding how to properly sort and export transactions will make using Divvy with your financial software a much simpler process. Select the type of file you would like to export. Once the file is downloaded, you can import it into the program of your choice.